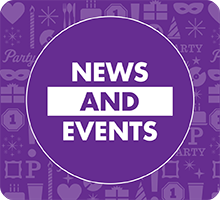 Our FAQs section will help you to understand a little bit more about our company, what we do and how you can start to sell our amazing party products and balloons all around the world. Q. 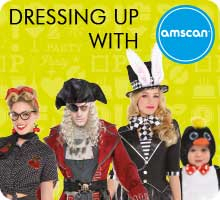 How can I open an account with Amscan Europe? A. 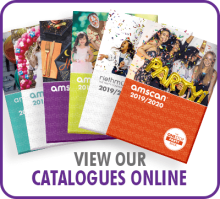 If you are a business interested in selling our products, you can get in touch by filling out our online inquiry form or contact us by email or phone (please see above). If you are a consumer, we are sorry, but we do not sell directly to consumers. 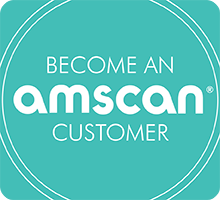 You can ask your local retail store or check the online retailers for Amscan products. Q. How can I order your products? A. Once you have received your account number and you are set up in our system, the easiest way to order is using our website. You can upload an order file, search by item number, or scroll through our products. Q. Before I log in I can see more products than after. Why is that? A. This website is aimed to different territories and there are restrictions in what you may be able to buy for your territory. We do have more than 60 licenses in our portfolio. Our licensed products are approved from the licensor in terms of design and style guide and we are allowed to sell these products in specified countries as per our licensor agreement. If you do not see the product after login, we are not allowed to sell it to your country.